‘Stone of Aran: Pilgrimmage’ is, as Robert Macfarlane says in his introduction, ‘one of the msot sustained, intensive and imaginative studies of a place that has ever been carried out.’ That place is one of the most mysterious and oldest inhabited landscapes in the world, the islands of Aran off the west coast of Ireland. Dsolate, storm-lashed limestone rocks, the islands have been meticulously cultivated for four thousand years, divided up into tiny plots of land that were worked with hard, unremitting labour.Fishing in the open Atlantic seas provided another, lethally dangerious, living. The people who lived there endured and left records in stone, story and oral tradition. Tim Robinson’s epic exploratin of hte islands, which have already haunted generations of Irish writers, takes the form of a clockwise journey around the coast of Aran. Every cliff, inlet and headland reveals layers of myth and historical memory, and Robinson amkes beautifully crafted observations about the habits ofbirds, plants and humans. There are walls, cairns and ancient forts whose meaning and function is still not clear. And there is the relentless weather, and the strange properties of limestone, slowly dissolving in the rain. This is an unforgettable, uncategorisable book. ‘The best book ever written by an Englishman about Ireland.’ – Jonathan Keates, Independent. ‘Aran is not just an island to him. 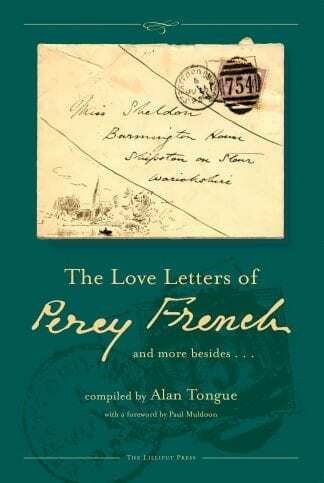 It is an ultimate place … It is a wonderful achievement.’ – Seamus Deane, London Review of Books. ‘Robinson deals with space the way Proust deals with time.’ Sean Dunne. “This review is also a personal note: my branch of Clan Mullen came to America from Aran in the late 19th century, which is what led me to Robinson’s books, “Stones of Aran.” “Stones of Aran: Pilgrimage” is Robinson’s description of the island as he makes a circuit of its shoreline. 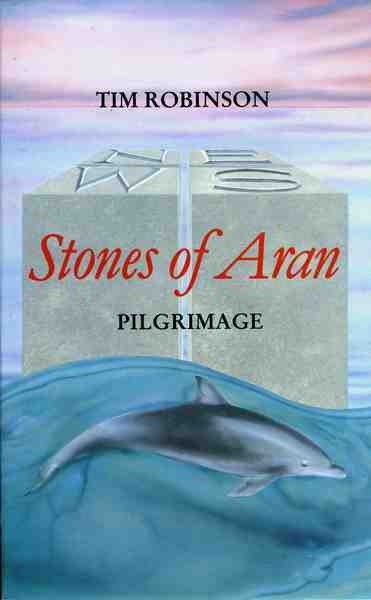 Although the title “Stones of Aran” might suggest that the topic is geology or, perhaps, geography, “Pilgrimage” is actually an eclectic mix of these plus paleo-biology, ornithology, botany, anthropology, archaeology, etymology, mythology, cartography, and maybe some others. Robinson claims professional authority only in the last of these, having one time mapped Aran and parts of neighboring Connemara. To the rest of these fields he brings the energy of a keenly interested amateur, and he attempts to fuse from them the shoreline’s gestalt. He deliberately and explicitly eschews photography, preferring to assemble pictures from nouns and adjectives, which he deploys in profusion and with technical specificity. Occasionally this approach is irksome. Robinson admits to needing a bird identification book, for example, but he then rattles off species as if the reader were an ornithologist. In such passages I substitute “bird” for the various and mysterious names and practice my speed reading for a few paragraphs. A reader more at leisure might enjoy the delay of looking up all these curiosities in his own bird book. There is no plot in this volume, no story line whatever, except when occasionally Robinson relates local legends, lore, or hagiographies of the saints. Rather the order of the narrative is an exploration of space, arranged sequentially as one walks (Robinson admits to occasionally pedaling to points on the shore, but in the descriptions he is always on foot) from the eastern-most point of the island, westward along the south shore, round the western end, then back along the north shore. Robinson is never an actor in this walk, only the narrator. The reader observes the circuit through Robinson’s eyes and mind. One never reads or in any way derives a sense of his aching feet, watery eyes, or chilled limbs. It is a God’s-eye view. There is, in fact, something extremely impersonal in the narrative. Robinson rarely writes of contemporary people in Aran, and when he does–as, for example, when he hitches a ride from a couple of lobstermen to an offshore island–the description of the event is written in “first-person-remote,” i.e., with an aloofness of attitude that leaves the reader feeling like he is watching events from a long ways off through a telephoto lens. Similar to listening to news on National Public Radio, it’s as if some omnipresent authority is floating serenely, invisibly, and untouched above earthly things, ultimately objective, neither affecting nor affected by events below. Robinson similarly seems to want Aran and her people unaffected by his passing there. Though any one section of the book can be accused of being too introspective, of containing too much arcana, or of being an egotistical exercise of linguistic nicety, what emerges with time and patience is an image of Aran that is at once general and intimate. It is similar to the sense you might get from looking out upon any landscape: you see a variety of trees, a roadway with a culvert diverting a stream underneath, the ruins of a barn encrusted with creeping vegetation, old pasture going to weed alongside a river, a hillside rising away to over-looming cliffs. You can take the parts separately–identify the various trees, look up who once owned the farm, climb the cliff, paddle the river–but your eye takes them together at a glance, and together they make one image. So it is with “Pilgrimage.” From the disparate parts Robinson creates a whole, and you come to feel as if you “know” Aran in some way, and probably in a better way than you would from reading a travel brochure and looking at photographs. 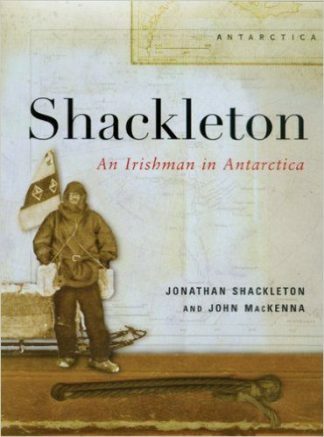 “Obviously, it takes a somewhat rum fellow, a mathematician and an artist and cartographer, to settle down and become a denizen on a few relatively barren, sparsely populated limestone rocks off the west coast of Ireland, to do so and to write a book exploring the minutiae of the language, folklore, history, geology, archaeology of said outcrops whilst making what he is pleased to call a “pilgrimage” around the perimeters of them. The results of this pilgrimage range from the pedantic to the poetic. The careful mathematician in Robinson scrutinizes all these different aspects of the the surrounding flora and fauna, folklore and myth, that, frankly, at times, make reading the book what this perambulation obviously was for Robinson much of the time, more than a bit of a slog. One certainly learns quite a lot, but is it worth knowing? Robinson, as it happens, and this to me is the heart of the book, is continually asking himself this question. Often, he will simply break in the middle of what he is describing or explicating to ask himself the equivalent of – “What am I doing here?” – both in regard to making this foray on foot and to recording his experiences and his researches into Aran’s archaeology, geology and history, both actual and apocryphal. A “chough” is a bird of the crow family. “Tim Robinson published this account of the largest of the three islands that sit at the entrance to Galway Bay, “Arainn” in the island’s own speech, in 1986. 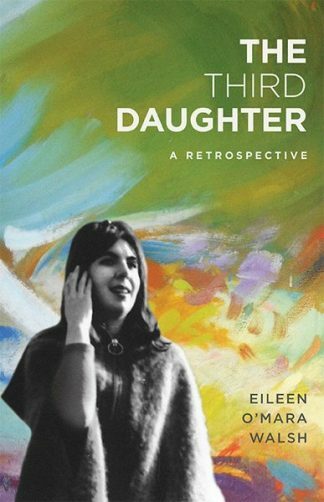 He had gone to live there in 1972, and this book is the remarkable distillation of his experience, as well as his exploration of its past. The islands are the last stronghold of the Gaelic language. The particular island that is the topic of this book is roughly 8 miles long by 2 miles wide. The humans that have chosen to live here have made significant adaptations to their environment. I know of only one other book that I could compare it too, one that also examines a Celtic heritage, a bit further south, in France’s Brittany. It is Eleanor Clark’s “The Oysters of Locmariequer.” Like Robinson, Clark examines a very small place, and reports on the “unsummable totality of human perspectives” to use Robinson’s phrase in his first chapter. This book does not exhaust by any means what Robinson has to report about the island. There is a companion volume, Stones of Aran: Labyrinth (New York Review Books Classics) “Pilgrimage” takes the format of a walk around the island’s circumference; “Labyrinth” is an exploration of the interior. For sure, there are plenty of diversions along the way. The author immediately draws you in, particularly for Americans suffering from “intelligent design” and “creationism” with a discourse on a timescape without signpost, the cosmology of the universe, with a nod to that famous date some folks think the story all began, 4004 BC. In other chapters he examines the mythology, and actuality of the settlement of these islands. Robert Flaherty’s 1932 movie, “Man of Aran,” is a valuable referral source for Robinson, and he repeatedly references it in his book. In terms of the economics of the island, it was always a struggle, particularly agriculture, which was supplemented with fishing, particularly of sharks, for their oil. Kelp played a major role in the islands history, from it use as a source of iodine, as well as it being the principal source of fertilizer, which made possible the growth of crops in this stony soil. “This book takes the reader on a journey around the coast of Arainn – the largest of the Aran Islands off the West coast of Ireland. The level of detail in the work seems daunting at first, but as the book builds you become used to this style. Every headland, inlet and shore has been named and there is often a story or two (or three) to account for each name. The degree of connection between the landscape and those who named the parts must have been both intense and intimate, and the author succeeds in conveying both the land and the people. The landscape of the island is fragmented into section by the nature of its geology – limestone naturally weathering into blocks along lines of the weakness created when the rock itself was formed. The book itself seems to take a similar structure. The journey around the island is the books underlying geology, which is presented in a sequence of sections, each part of the whole but also distinct from the rest of the work.